First showing up on Fudzilla and then reported by The Information, the rumor of Qualcomm's layoffs is getting more substantiated. According to both sites, the company may be announcing the drastic measure tomorrow, July 22nd, during its second-quarter earnings call. There's no word on which jobs or units will be the most affected, but it is said that the company could undergo a major restructuring and that R&D positions could shift to low-cost countries. Qualcomm already knew this quarter's revenue would be down compared to last year, and we can all easily speculate that the reason was Samsung's decision to go with an in-house Exynos processor instead of a Qualcomm one. The chip maker's high-end Snapdragon 810 has been nothing but bad news since its release, causing disgruntlement from most OEMs, to a point where operators are warning about overheating issues and LG decided to skip it altogether in its G4 flagship. Add the fact that smartphones are getting cheaper and many mid-range and low-end phone manufacturers, including Google's own Android One partners, are using MediaTek chips to further lower costs, and it's easy to see why Qualcomm's profit is being eaten from both ends of the scale. But Qualcomm's situation isn't that dire. The company still expects to turn up a profit this quarter and its Snapdragon 820 chip should hit the market before the end of the year. Its patent-licensing business is also quite profitable (even more than its chip-making unit) and there have been pushes to separate these divisions, but that still seems to be a distant option. If the rumor turns out to be true tomorrow, our thoughts and sympathies go out to the thousands of employees who are about to lose their jobs. Hopefully, they'll rebound quickly and land on their feet. 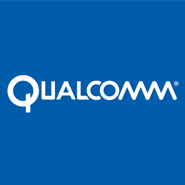 Qualcomm has just announced a "Strategic Realignment Plan." That's code for "spending less money." Part of this plan includes a 15% reduction in the full-time workforce, even higher than the rumored 10%. Here are all the important details. Qualcomm says these changes will cut costs by $1.1 billion in the 2015 fiscal year.